Or maybe nineteen? 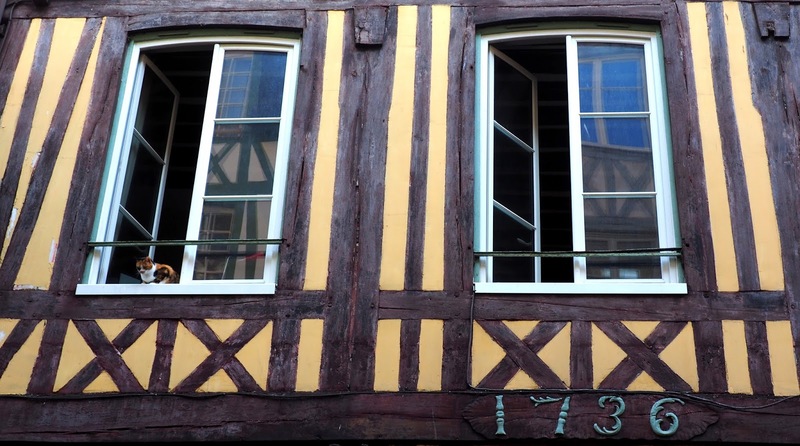 Part of the reason for today’s reaction against Normandy’s half-timbered buildings is that I’m unable to look at them without seeing Roman numerals. The colours vary, and the arrangement of diagonals, horizontals and verticals, but it seems to be a constant that the lower level will be a series of Xs and Is. It gets a bit wearing, mathematically. Also, there are just so many of them. Towns, villages, farmhouses – they’re all variations on tile and plaster, stone and brick, fitted into an oak framework. I’ve still not been able to resist taking masses of photos of rows of buildings, though, hung with flower baskets and framed by leafy plane trees. We’re in Rouen today, and there’s no escape from these medieval beauties: the town is crammed with them, despite considerable war damage. Our local guide was Élodie, a charming young woman in a black and white gingham dress with red accessories including the flowers in her hair. 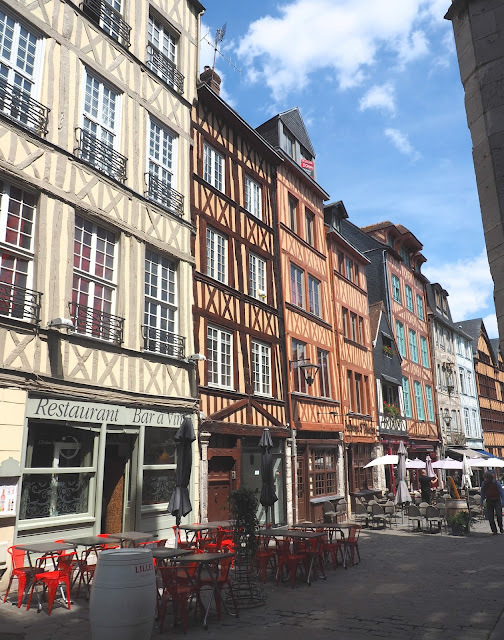 She took us around the cobbled streets, through alleyways so narrow I feared for the Americans in the group, past leaning buildings and into the cathedral with its unusual see-through iron spire. Joan of Arc was a feature of the tour, as well as Vikings, the wool industry, Flaubert, Monet and Julia Child. 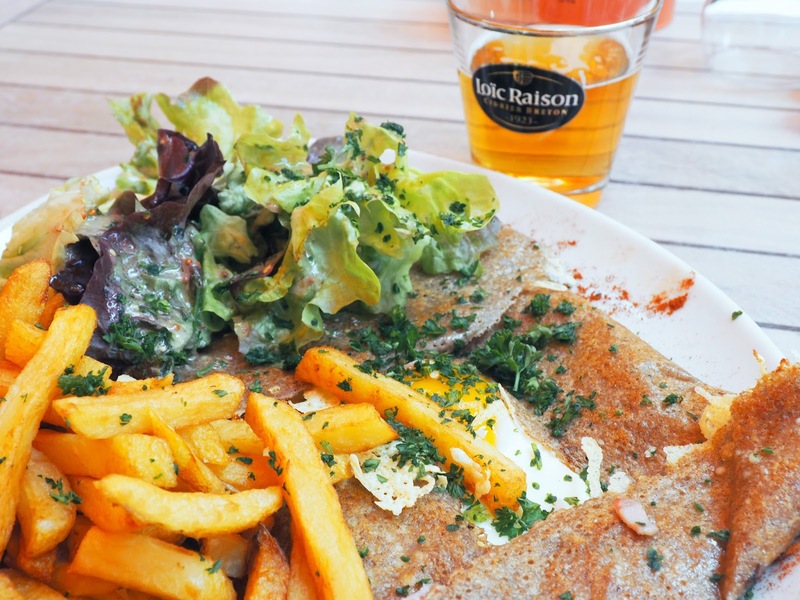 Afterwards I had my obligatory galette, a complète with egg, chips and salad – very nice, too, eaten under a sunshade in the square beside the cathedral with a glass of cider, surrounded by French people taking very much longer to have their meal. 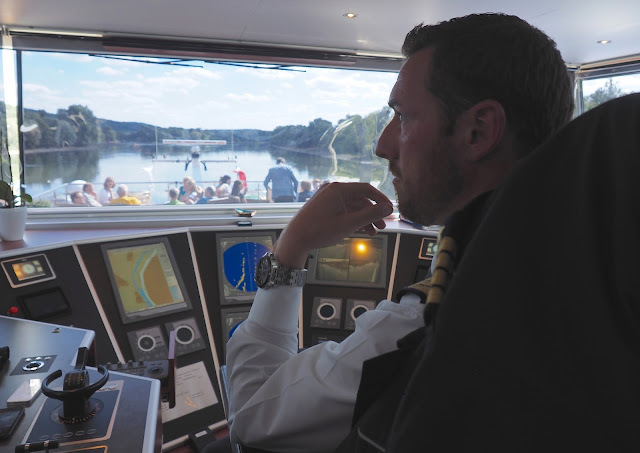 The day disintegrated somewhat then: there were three glasses of champagne, a ship tour including the bridge where the captain showed us his tiny joystick, a long peaceful session on the sundeck as the Tapestry II glided peacefully through the green countryside, with a soundtrack of nothing but birdsong and the lapping of the wake on the banks. Then a degustation dinner in the lounge was followed by the crew concert, which was awfully funny. Emphasis on the ‘awfully’. (Though Tiago's energetic dance turn made him the star).